It has been six years since the sixth edition was published. Was there a reason that you produced the seventh edition now, or is it simply that National Geographic wants to publish a new edition every five or six years? Our guide in recent decades includes all species recorded for North America so there is always the need to add new species recorded since the last edition, plus the need to keep up with the latest taxonomic decisions of the Committee on Classification and Nomenclature of North and Middle America (hereafter the North American Classification Committee, or NACC). More than a decade ago, the changes published in a report in The Auk appeared every two years. Now it’s every year. And with the advent of genetic research and the publication of numerous papers affecting classification, the changes are numerous. These don’t always involve “splits” (splitting an existing species into two or more separate species) or “lumps” but involve genus and family changes. Recently it has involved a very different reordering of the families. It is hard to keep up. But, yes, it would appear that we have produced new guides just over every five years since the first edition appeared in 1983 (second 1987, third 1999, fourth 2002, fifth 2007, and sixth 2011). Some like the second and fourth editions involved very few changes from the previous editions, while the others have involved quite significant changes. On this edition, we had our longest lead time to prepare the new guide, so that, combined with many new records and major revisions to taxonomy, means that this edition looks significantly different from previous editions. You have made a lot of changes since the sixth edition — 37 new species, new maps and paintings, etc. What changes are you most proud of? 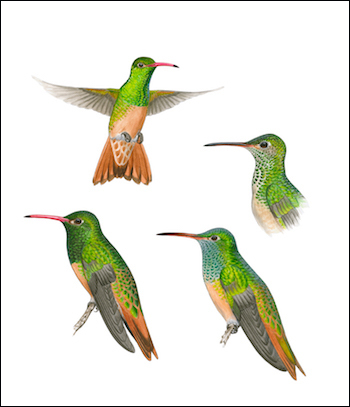 First and foremost are the new illustrations of North American hummingbirds. Nearly all have been replaced (except Lucifer Hummingbird illustrations). There have been three very informative field guides published in recent years on North American hummingbirds (by Steve N.G. Howell, Sheri L. Williamson and George C. West) that have greatly increased our knowledge of this family of birds. Our text and illustrations in previous editions did not reflect what we have learned over the last two decades. John Schmitt and Jonathan Alderfer illustrated the new figures, and we believe that along with the revised text, we have significantly raised our standard with this family. We have also fixed figures from a number of other families. Some of the more significant changes involve raptors, murrelets, vireos, swallows, and sparrows. Adding subspecies maps in the sixth edition was appreciated by many of our readers. We have expanded this section in covering additional polytypic species. 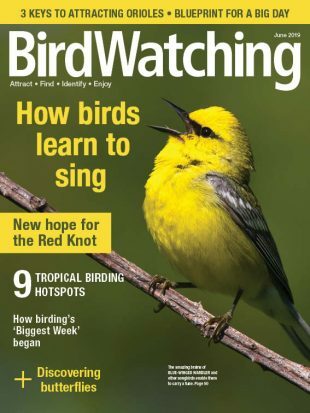 Also, for this edition we had three expert editors and birders read the entire text (twice!). They (Ken Able, Kimball L. Garrett, and Daniel D. Gibson) had nearly countless suggestions: some correcting errors (sadly in a few cases dating back to the first edition), others involving more clear and concise wording, or the ranking of importance of what needed to be said and where. 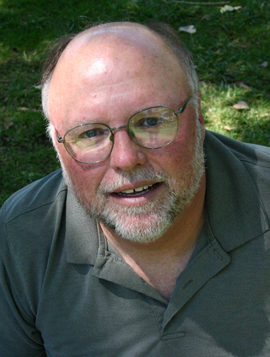 Paul E. Lehman read the entire distributional (under “Range”) sections for each species and greatly improved that section. He had numerous suggestions for other sections, too. My involvement (initially as Chief Consultant) with the guide dates back to 1980, and I feel that eventually one becomes inured to the way things are written. Getting four sets of fresh eyes to look at the text was invaluable, and as a result I’m satisfied with the way the text now stands. How did you decide which species to add? Well, every species recorded for North America (cut-off date was August 1, 2016) is included. For those recorded only once, or just a few times, they are included in the Accidental section in the end of the book, while more regular species go into the main text. Due to space considerations (we ran out of room in the back! ), or for purposes of comparison, we sometimes don’t follow our general guidelines. 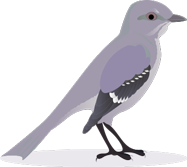 (See page 225, where we include both White-chinned and Parkinson’s Petrels; Parkinson’s has been recorded only once, White-chinned a number of times, but both are compared on the same page.) Some new exotic species (introduced birds from elsewhere in the world) are now considered established enough to be included. Do you wish you’d had advance notice about the 2017 AOS taxonomic changes, such as the lumping of Thayer’s Gull with Iceland Gull and the splits of Red Crossbill and Magnificent Hummingbird? 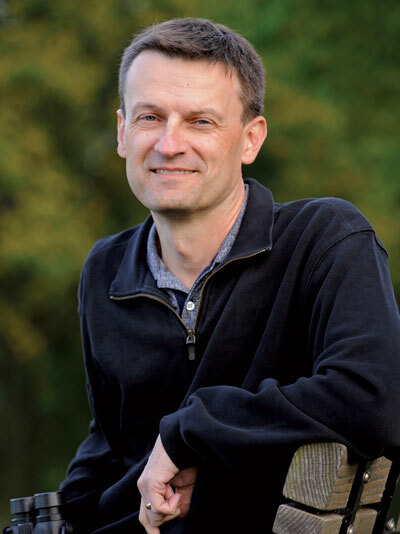 I have been a member of the NACC since 2000, so I had more advance notice of taxonomic changes than anyone other than my 10 fellow committee members. We vote on motions typically at the end of the year or early in the following year and the annual supplement reflecting our votes is published in July. I, with J. V. Remsen, Jr., wrote the motion to lump Thayer’s Gull with Iceland Gull. It passed unanimously. Typically, the NACC considers issues (separate motions) based on recent published papers. Sometimes, five or more years elapse between when a paper is published and when the committee considers and votes on the issues raised by the published paper. A 2/3 vote for a change from the status quo is required. You’ve added about 300 new illustrations. What birds or families do they depict? As noted, some 25 perent of the new illustrations were hummingbirds. But we added many figures from other families too. 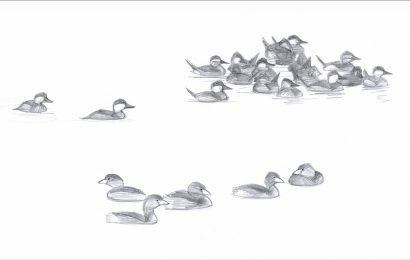 These include many new illustrations for hawks, kites, eagles, and allies; auks, murres, and puffins; vireos; swallows; nuthatches; sparrows; and blackbirds. How did you decide which species needed new paintings? That is one of the more difficult issues that we (Jonathan and myself) undertook carefully. Obviously newly recorded species, or introduced species that are sufficiently “established” needed to be added and required new illustrations. 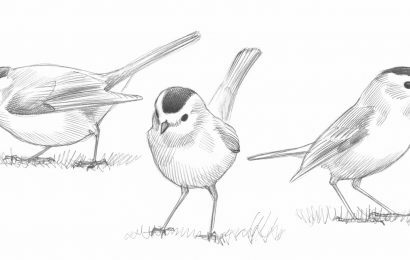 If an accidental was included in the back of the book, usually one, or at most two illustrations were used, usually the plumage that was actually recorded from North America. If placed within the main text, we included a fuller set of illustrations representing the various appearances of the species. In addition we replaced existing illustrations. It is worth remembering that when I first worked on the guide (starting in 1980), we worked primarily from specimens from established museums, notably the United States National Museum (Smithsonian, Washington, D.C.; Louisiana State University, Baton Rouge; and the Field Museum of Natural History, Chicago). While the loan of these specimens was invaluable for the artists in preparing illustrations, they didn’t necessarily capture the appearance of the bird in life. Photos do that and there is no comparison between what was available for the artists then and now. Now, a large variety of images of a particular species is available with just a few clicks on the computer keyboard. We work with a small team of artists, the same team for more than a decade. For the seventh, in addition to Jonathan Alderfer, our artists were Tom Schultz, John Schmitt, and David Quinn. David painted the new Old World figures. Creating a new illustration is a laborious procedure involving first the review of sketches before a final painting is prepared. We can’t overstate enough the importance of having a close working relationship between the artists and the reviewers (Jonathan and myself). Mostly it comes down to mutual respect and trust. We all wanted to have the best figures we could produce. It is a collective effort. I don’t think most appreciate how involved this process is. It can take weeks and numerous renditions before a final painting is approved of just one figure. The artists had many suggestions for figures that needed to be replaced. But, to more directly answer your question, we had a budget, and thus only so many figures could be added (or replaced). Deciding what figures to add was a difficult process and was carefully considered by the two of us before final decisions were reached. We obviously had a longer wish list initially that had to be reduced, but we ended up with over 300 new figures. And frankly, the artists worked right up to and even slightly beyond the art deadline. There simply was no more time! Paul Lehman again produced the maps for this guide. Mapping the distribution of hundreds of species sounds like an overwhelming task. What is the process like? There is no one more qualified to produce continent-wide maps of bird distribution than Paul Lehman. 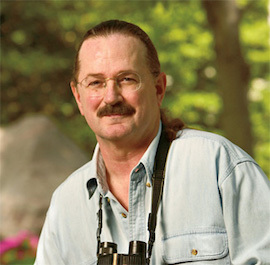 He has birded most of North America extensively and knows all of his map consultants (has birded with most of them) from the states and provinces. He contacts them well in advance and asks what changes are needed on our existing maps for a particular region. Most of these don’t involve fixing errors from the previous edition but involve actual changes in distribution. Some species are expanding; others are contracting. But often these changes just involve us learning more about a particular species range. 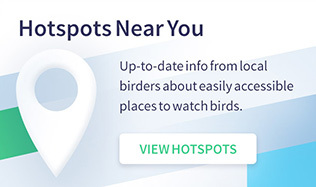 Birding has become increasingly popular. We are always learning more and Paul is better than anyone on keeping up with the new distributional information. And, as noted Paul offered many constructive changes for the distributional changes of the text (under “Range”). 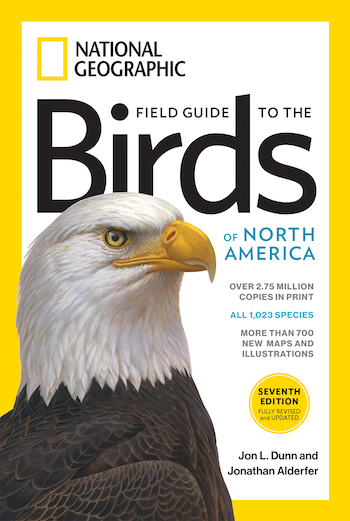 What should birders watch for in the future from National Geographic? The NGS might decide to revise their East and West field guides. We get asked frequently when the NGS will release an app for the seventh, but we know of no such plans to do so. And there is always the issue of an eighth edition. If one is done, more space will be needed. 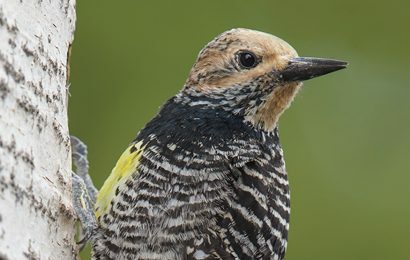 Five or more species have been added in just over a year, a result of new records for North America, including two, likely three at Gambell, St. Lawrence Island, Alaska, this fall. This is not a static science!